Information Disclosure Schedules 11a – 12d and 14a as at 31 March 2019, accompanied by Director Certification. This is a disclosure of an error previously disclosed, pursuant to clause 2.12.1 of the Electricity Disclosures. 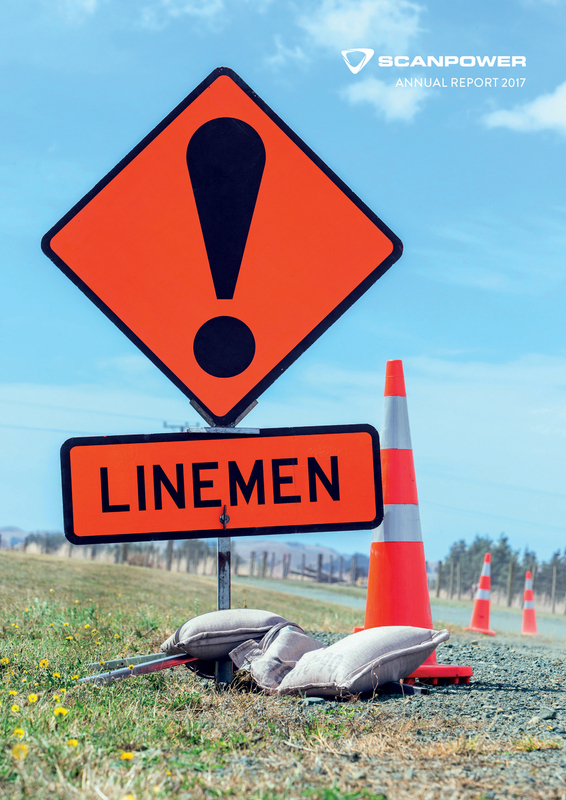 Information disclosure as published in the New Zealand Gazette, March 2008. 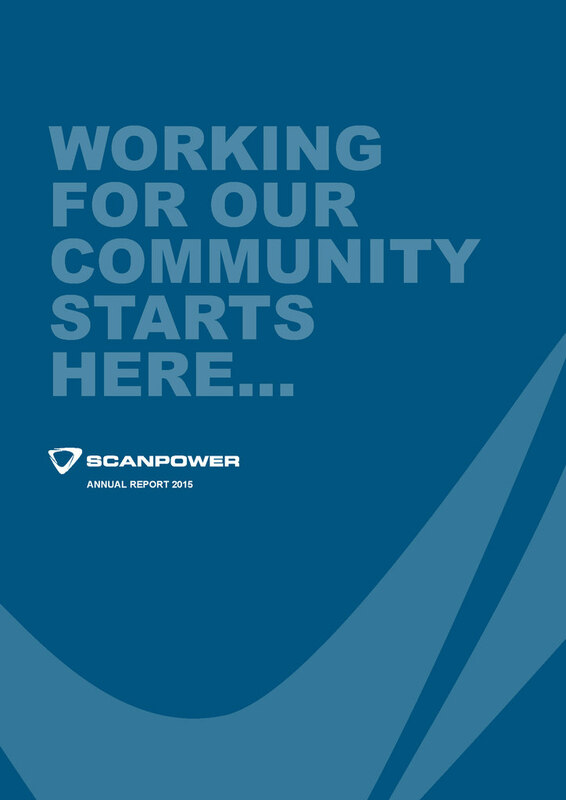 Pursuant to the Electricity Information Disclosure Determination 2012, Scanpower’s Asset Management Plan 2019-2029 is publicly available here. This asset management plan covers a period of ten years from 1 April 2019 to 31 March 2029. The next asset management plan covering the period 1 April 2020 to 31 March 2030 will be available by 1 April 2020. 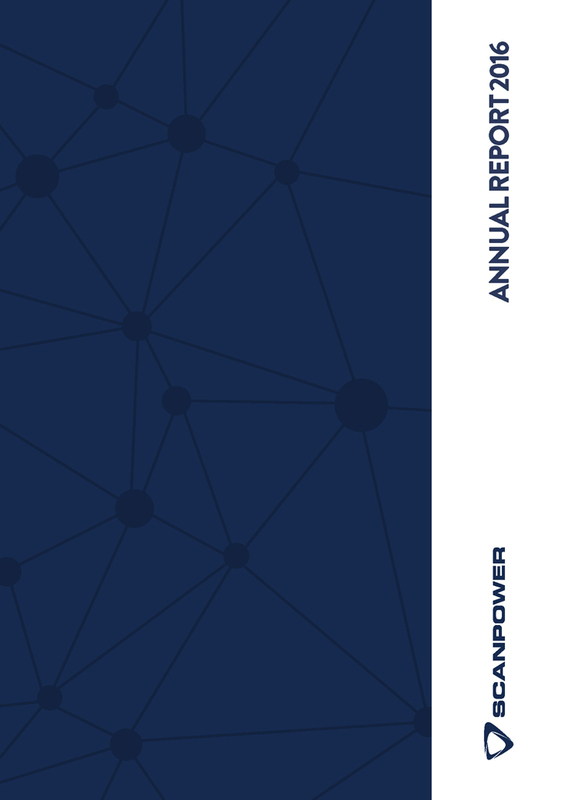 Pursuant to the Electricity Information Disclosure Determination 2012, Scanpower’s Asset Management Plan 208-2028 is publicly available here. This asset management plan covers a period of ten years from 1 April 2018 to 31 March 2028. The next asset management plan covering the period 1 April 2019 to 31 March 2029 will be available by 1 April 2019. This Asset Management Plan update is publicly disclosed as an alternative to a full revision of the Asset Management Plan 2016-2026, as permitted under section 2.6.3(4) of the Electricity Distribution Disclosure Determination 2012. This Asset Management Plan Update is publicly disclosed as an alternative to a full revision of the Asset Management Plan 2013-2023, as permitted under section 2.6.3 (4) of the Electricity Distribution Disclosure Determination 2012. Scanpower Asset Management Plan 2013-2023 Pursuant to the Electricity Information Disclosure Requirements 2004, the Scanpower Asset Management Plan 2013-2023 is publicly available here. This asset management plan covers a period of ten years from 1 April 2013 to 31 March 2023. The next asset management plan covering the period 1 April 2014 to 31 March 2024 will be available by 1 April 2014. 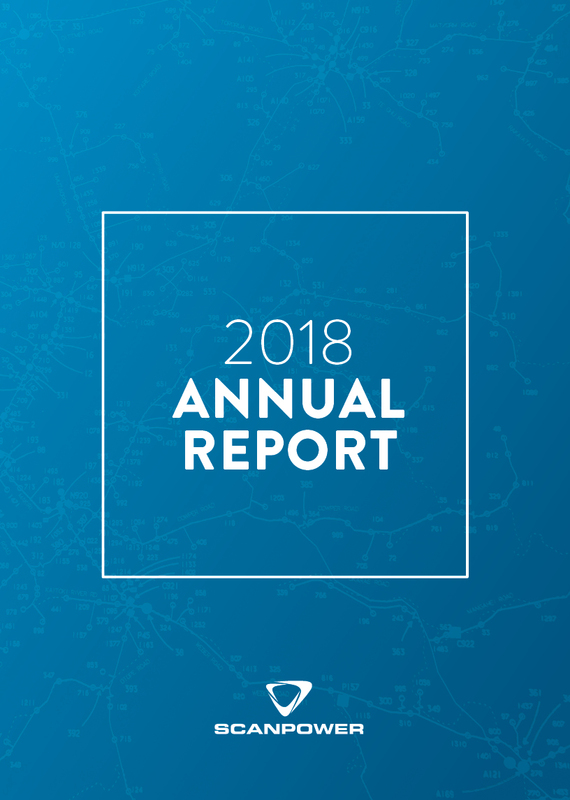 Pursuant to the Electricity Information Disclosure Requirements 2004, the Scanpower Asset Management Plan 2005 –2015 is publicly available here. This asset management plan covers a period of ten years from 1 April 2005 to 31 March 2015. The next asset management plan covering the period 1 April 2006 to 31 March 2016 will be available by 30 June 2006. This certificate is published pursuant to clause 2.9.1 of section 2.9 of the Electricity Distribution Disclosure Determination 2012. This pricing schedule details Scanpower's network charges. It is effective from 1 April 2019 and is valid through to 31 March 2020. This pricing schedule details Scanpower's network charges. It is effective from 1 April 2018 and is valid through to 31 March 2019. This pricing schedule details Scanpower's network charges. It is effective from 1 April 2017 and is valid through to 31 March 2018. This pricing schedule details Scanpower's network charges. It is effective from 1 April 2016 and is valid through to 31 March 2017. This pricing schedule details Scanpower's network charges. It is effective from 1 April 2015 and is valid through to 31 March 2016. This pricing schedule details Scanpower's network charges. It is effective from 1 April 2014 and is valid through to 31 March 2015. This pricing schedule details Scanpower's network charges. It is effective from 1 April 2013 and is valid through to 31 March 2014. This pricing schedule details Scanpower's network charges. It is effective from 1 April 2012 and is valid through to 31 March 2013. This pricing schedule details Scanpower's network charges. It is effective from 1 April 2011 and is valid through to 31 March 2012. This pricing schedule details Scanpower's network charges. It is effective from 1 April 2010 and is valid through to 31 March 2011. This pricing schedule details Scanpower's network charges. It is effective from 1 April 2009 and is valid through to 31 March 2010. This pricing schedule details Scanpower's network charges. It is effective from 1 April 2008 and is valid through to 31 March 2009. This pricing schedule details Scanpower’s network charges. It is effective from 1 April 2007 and is valid through to 31 March 2008. This pricing schedule details Scanpower’s network charges. It is effective from 1 April 2006 and is valid through to 31 March 2007. This pricing schedule details Scanpower’s network charges. It is effective from 1 April 2005 and is valid through to 31 March 2006. This methodology is applicable to the currently disclosed pricing period applicable to the period 1 April 2019 to 31 March 2020. This methodology is applicable to the currently disclosed pricing schedule applicable to the period 1 April 2018 to 31 March 2019. This methodology is applicable to the currently disclosed pricing schedules applicable to the period 1 April 2015 to 31 March 2016. This methodology is applicable to the currently disclosed pricing schedules applicable to the period 1 April 2014 to 31 March 2015. This methodology is applicable to the currently disclosed pricing schedules applicable to the period 1 April 2013 to 31 March 2014. This methodology is applicable to the currently disclosed pricing schedules applicable to the period 1 April 2012 to 31 March 2013. This methodology is applicable to the currently disclosed pricing schedules applicable to the period 1 April 2011 to 31 March 2012. This methodology is applicable to the currently disclosed pricing schedules applicable to the period 1 April 2010 to 31 March 2011. This methodology is applicable to the currently disclosed pricing schedules applicable to the period 1 April 2009 to 31 March 2010. This methodology is applicable to the currently disclosed pricing schedules applicable to the period 1 April 2008 to 31 March 2009. This methodology is applicable to the currently disclosed pricing schedules applicable to the period 1 April 2007 to 31 March 2008. This methodology is applicable to the currently disclosed pricing schedules applicable to the period 1 April 2006 to 31 March 2007. This methodology is applicable to the currently disclosed pricing schedules applicable to the period 1 April 2005 to 31 March 2006. Scanpower Limited threshold compliance statement for the assessment date 31 March 2009. Scanpower Limited threshold compliance statement for the assessment date 31 March 2008. Scanpower Limited threshold compliance statement for the assessment date 31 March 2007. Scanpower Limited threshold compliance statement for the assessment date 31 March 2006. Scanpower Limited threshold compliance statement for the assessment date 31 March 2005.